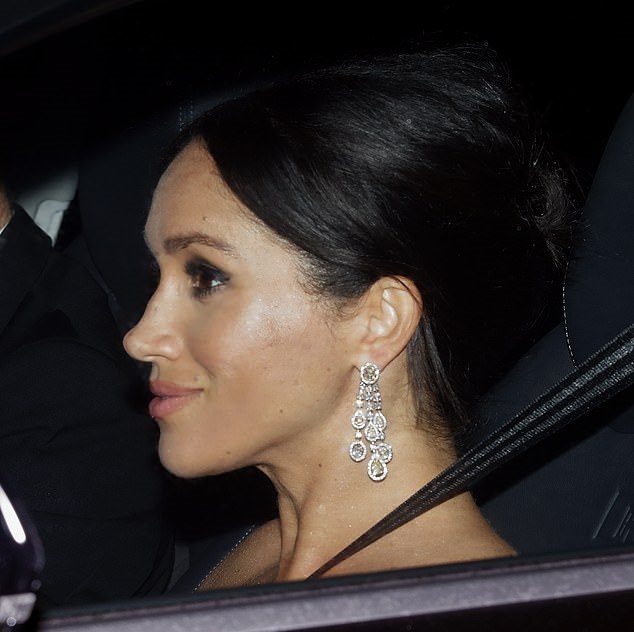 The Duchess of Cambridge and the Duchess of Sussex dazzled in show-stopping diamond earrings for Prince Charles' birthday celebrations at Buckingham Palace last night. 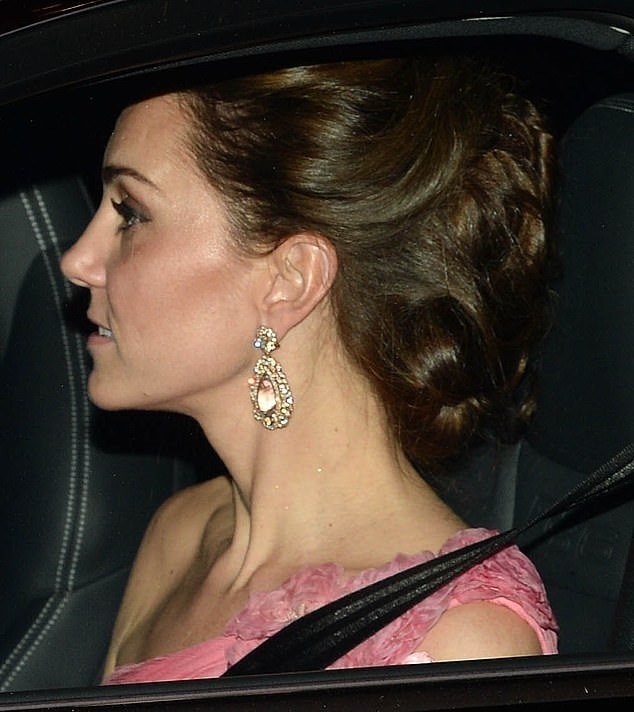 Kate, 36, and Meghan, 37, both pulled out all the stops and selected some of the most sparkly jewels in their collections as they toasted their father-in-law's 70th, surrounded by friends, family and European royalty. Princess Beatrice, 30, also opted for eye-catching earrings, sporting a pair with a dramatic spiral design encrusted with sapphires and diamonds.